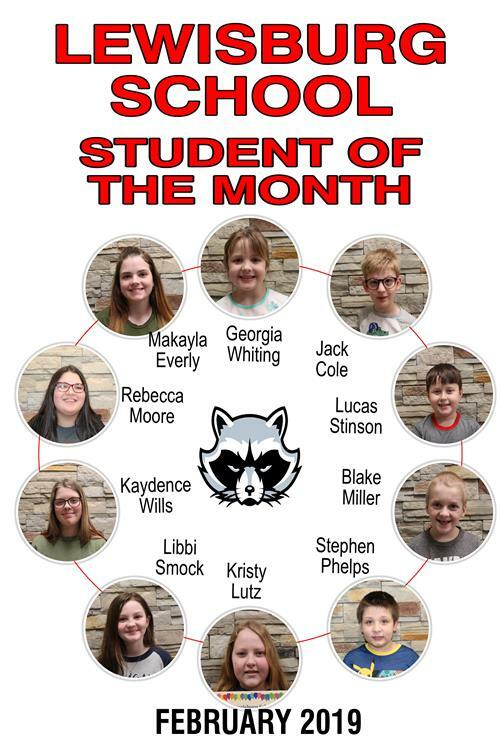 Lewisburg School has announced the names of those who were named Students of the Month for both January and February. 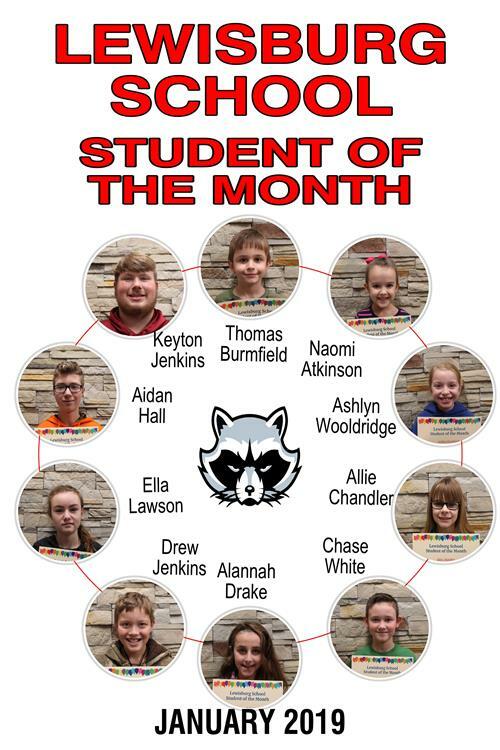 January honorees were Thomas Brumfield, Naomi Atkinson, Ashlyn Woodridge, Allie Chandler, Chase White, Alannah Drake, Drew Jenkins, Ella Lawson, Aidan Hall and Keyton Jenkins. Honored in February were Georgia Whiting, Jack Cole, Lucas Stinson, Blake Miller, Stephen Phelps, Kristy Lutz, Libbi Smock, Kaydence Wills, Rebecca Moore and Makayla Everly.